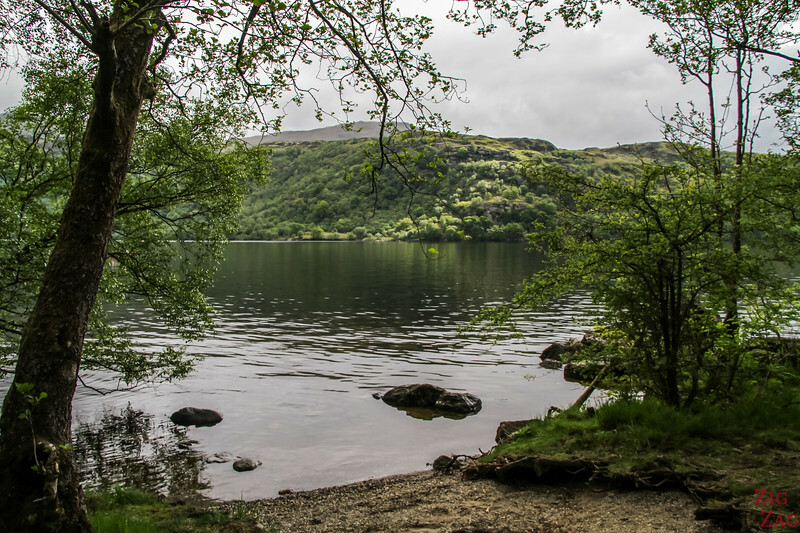 Close to Glasgow and Edinburgh, Loch Lomond Scotland is part of the Trossachs National park, a favorite region for locals to relax and connect with nature. 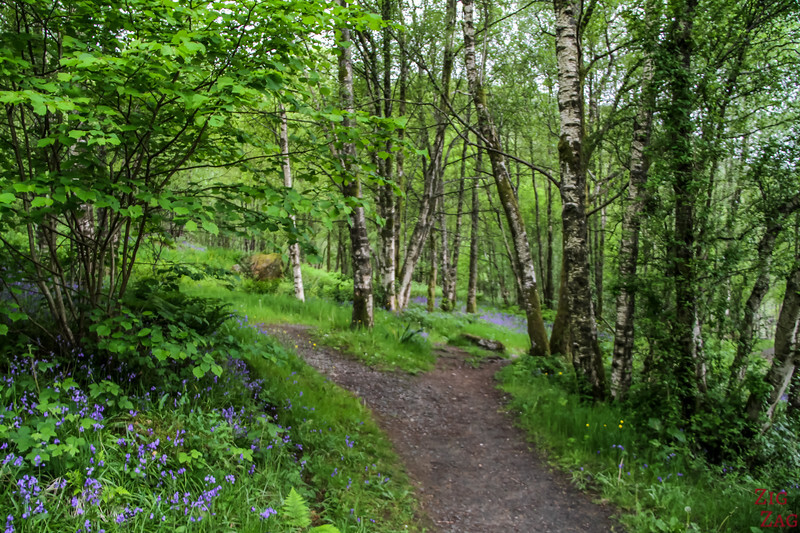 With a large base and a narrow top, discover all the best stops around Loch Lomond to admire its beauty. 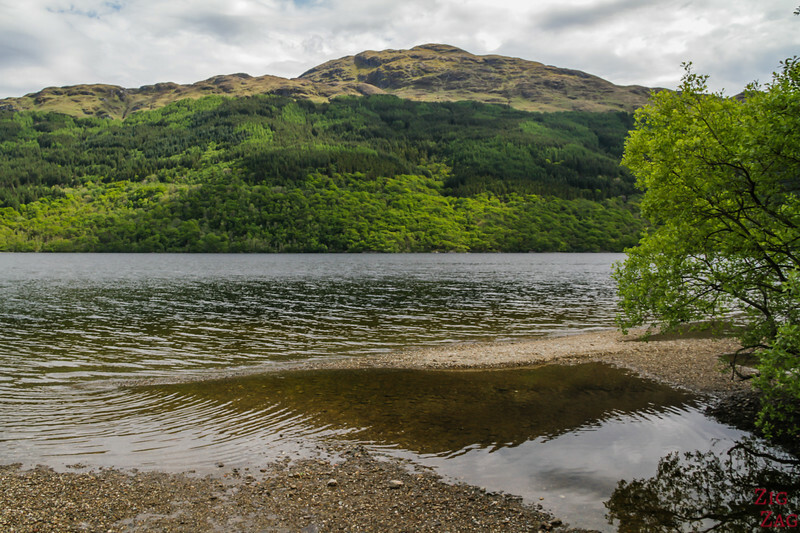 Located North of Glasgow, Loch Lomond Scotland is a freshwater inland loch, the largest by surface area. 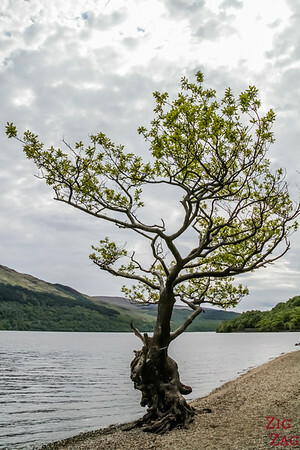 Since 2002, it is part of the Loch Lomond and The Trossachs National Park. 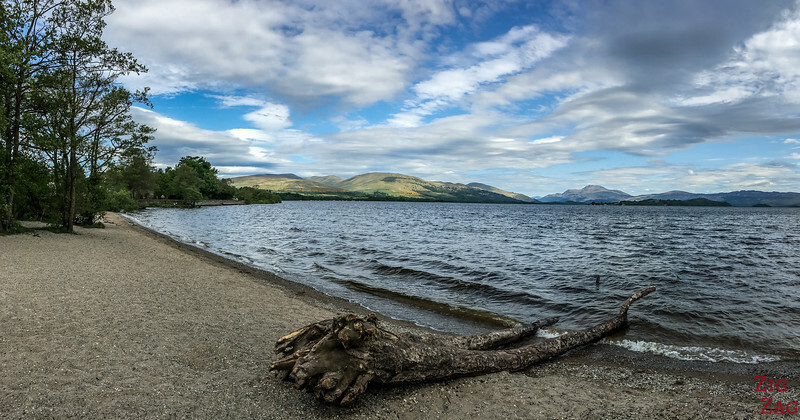 There is no road going all around Loch Lomond. 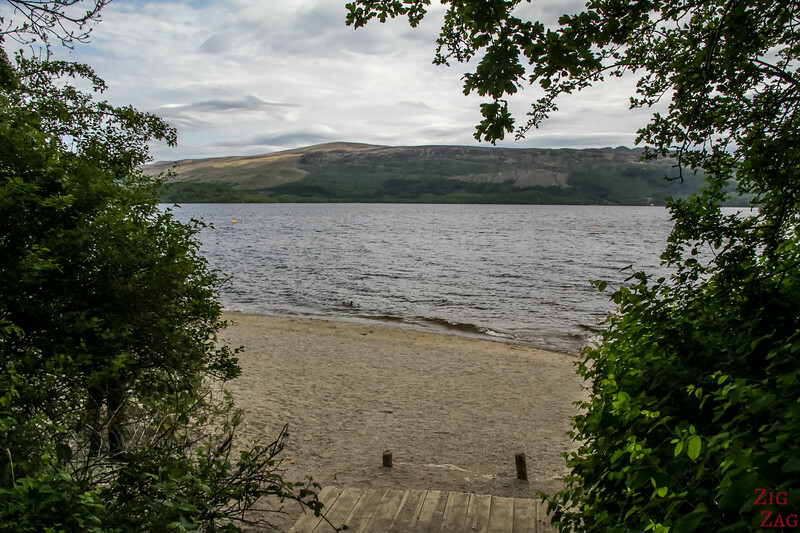 The West shore is easily accessible with a main road along it. 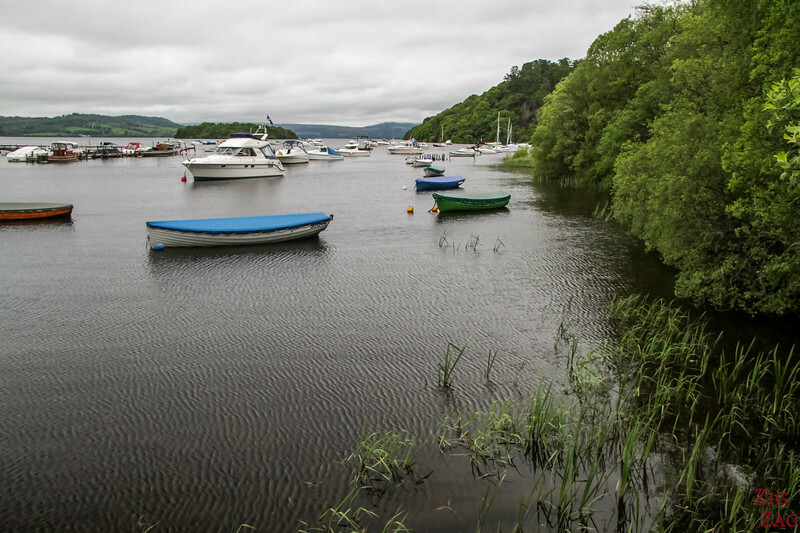 The east coast is accessible by smaller road and detours, boat or walking. 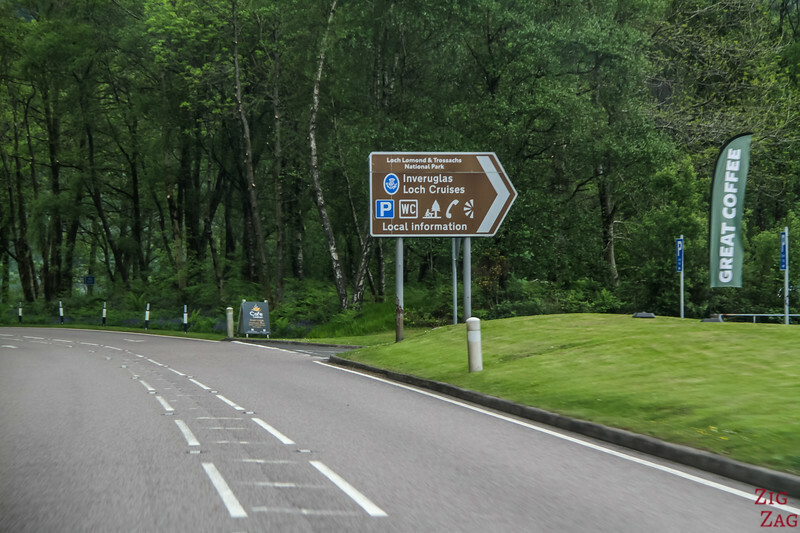 Located on the North West shore of Loch Lomond, Tarbet is a small village at the junction of roads A82 and A83. 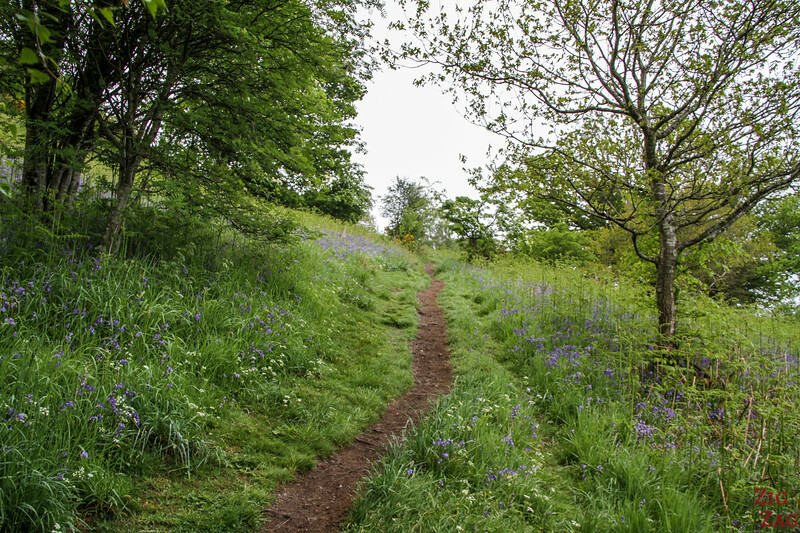 It offers a large grassy area, great for picnic. 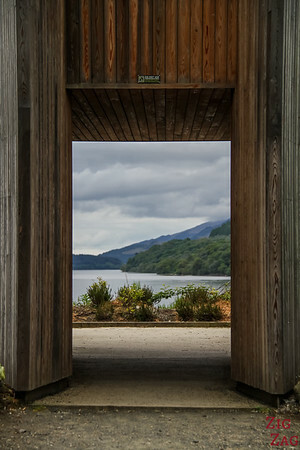 Its pier is a popular boarding point for cruises on Loch Lomond. 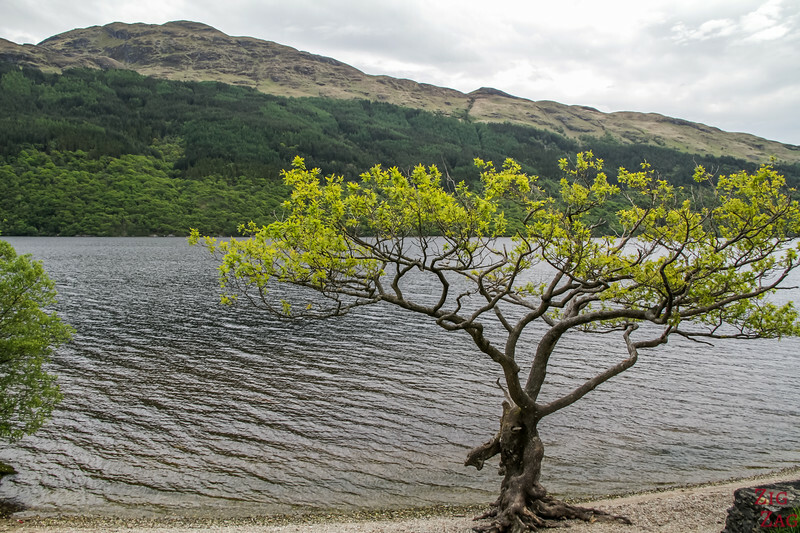 Firkin point was my favorite spot to walk on the shore of Loch Lomond Scotland. 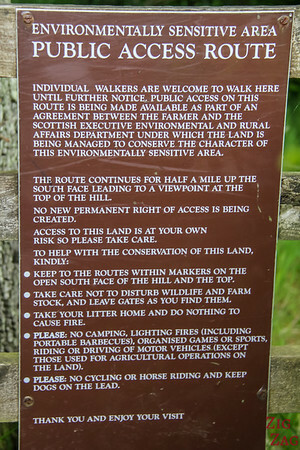 The views are great and busses are not allowed so you are not surrounded by hundreds of people. 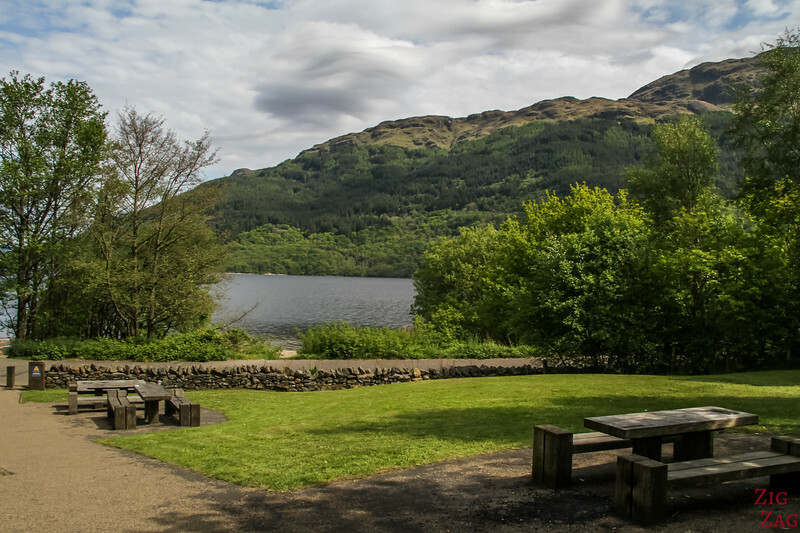 Located South of Tarbet, it has toilet and picnic facilities and provide access to a nice walking path along one fo the loch's head. 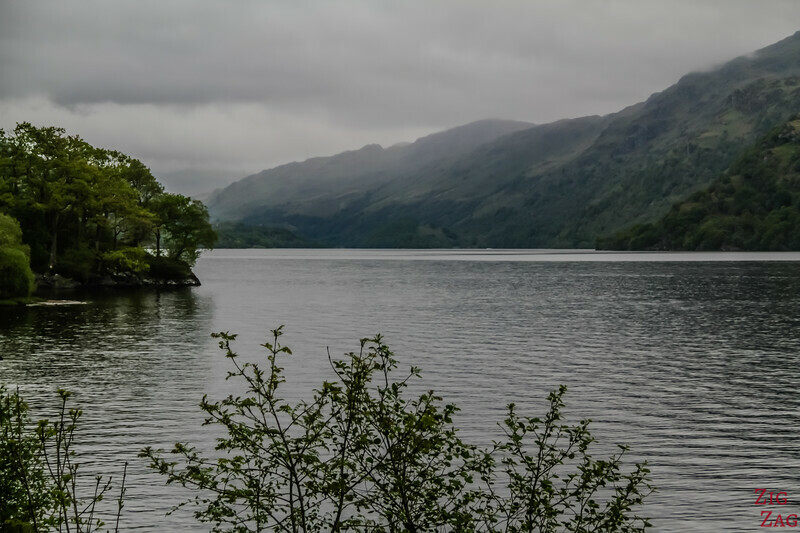 All those stops, along with many other beautiful places, are included in my eBook: The Road Trip Guide - Scotland. 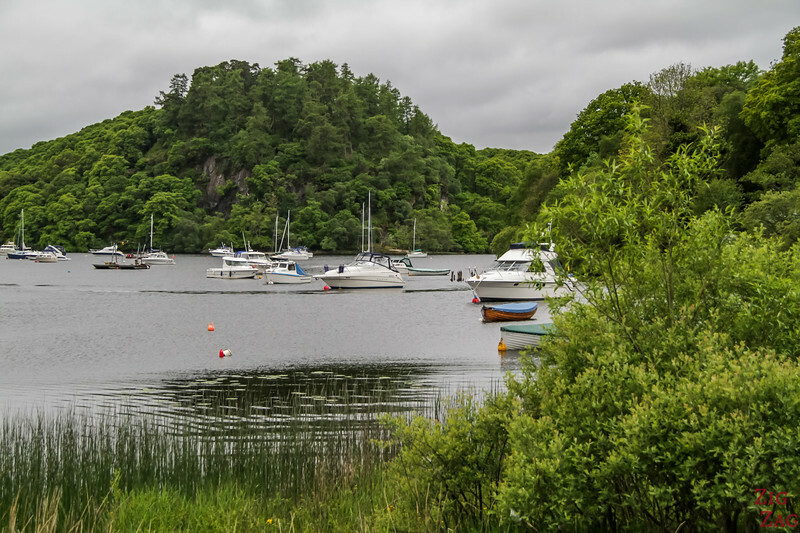 Midway between Balloch and Tarbet, Luss is the most popular place to stop on the shore of Loch Lomond. 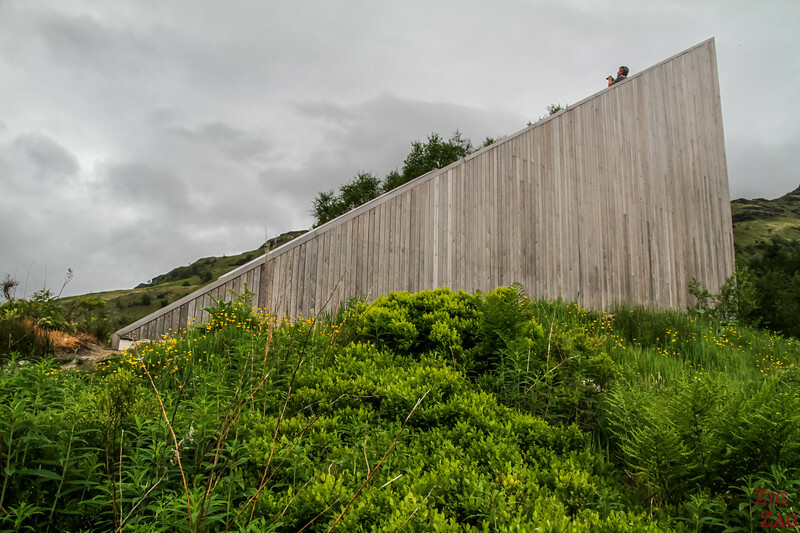 It is full of busses and tourists and you will have to queue to get access to the toilets. 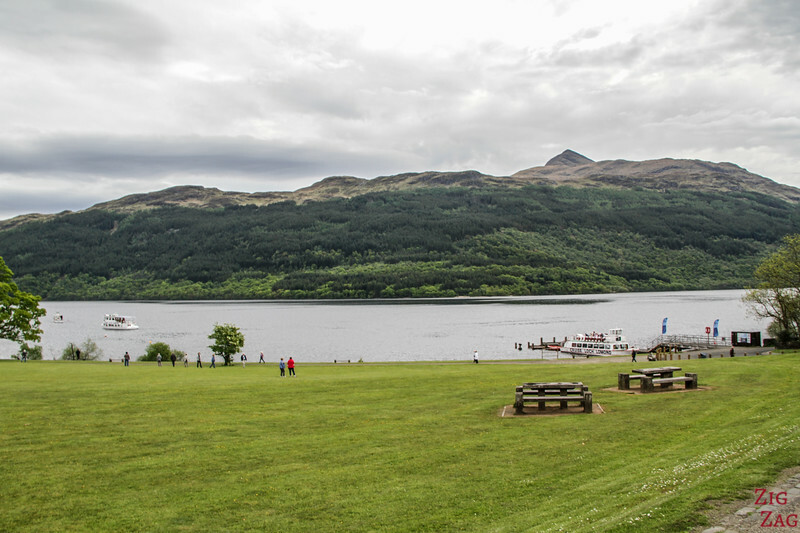 The views is a little different because Luss is located in front of one of Loch Lomond's main island: Inchlonaig. 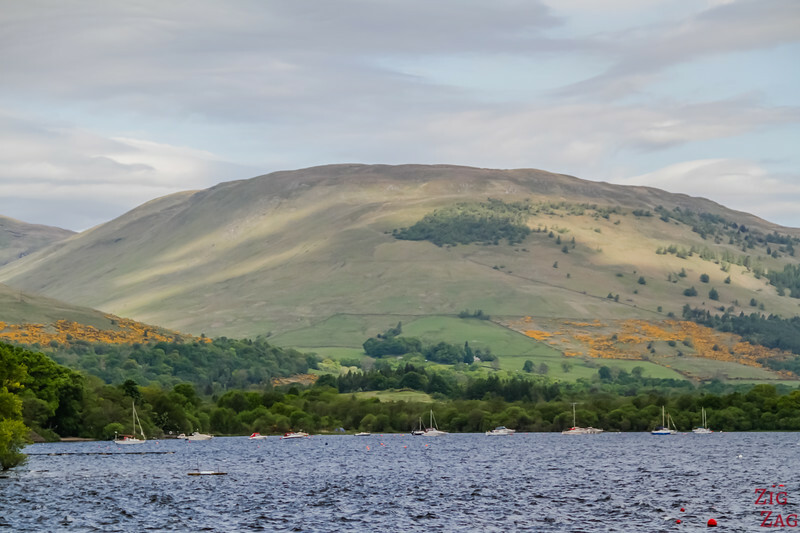 Luss has been a seettlement since medieval times. 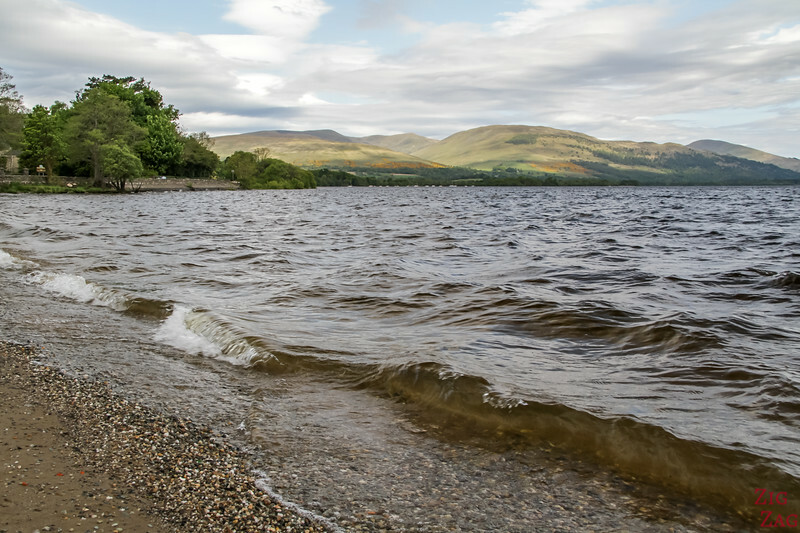 Just North of Balloch,Duck Bay is one of you first opportunity to get closer to the water of Loch Lomond. From there you can see quite far towards the North. 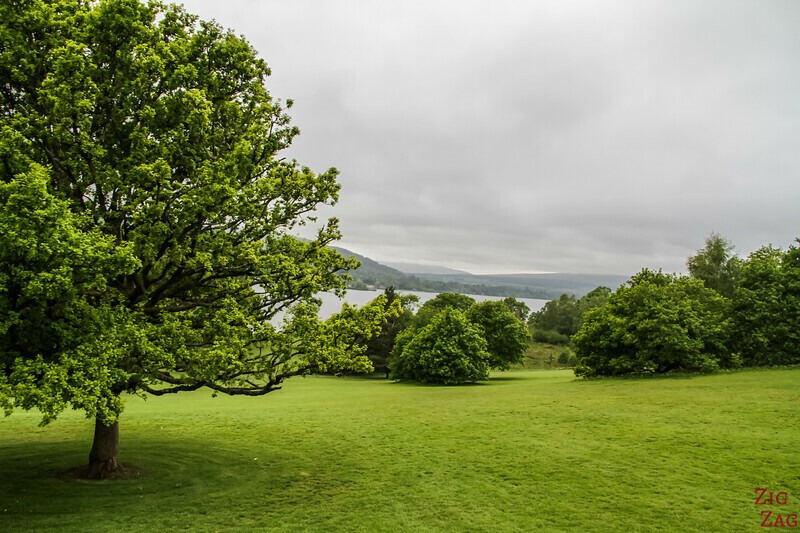 On the South East tip of Loch Lomond is the Balloch Castle. 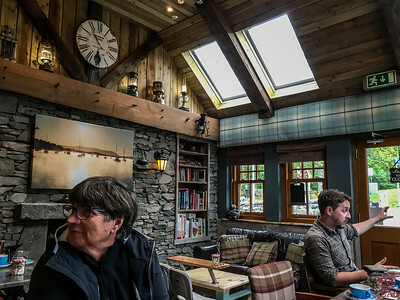 On higher ground, it offers views of Loch Lomond. 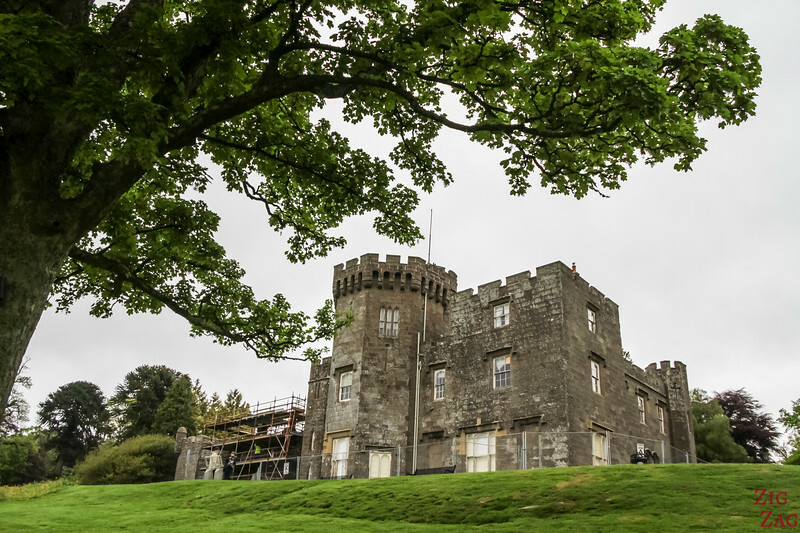 when I was visiting only the park was accessible as restoration was happening on the castle. 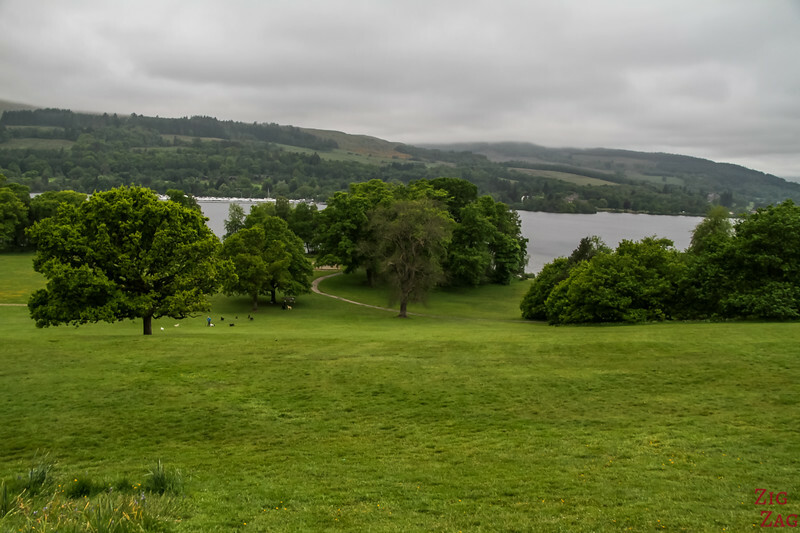 East of Balloch is Duncryne. 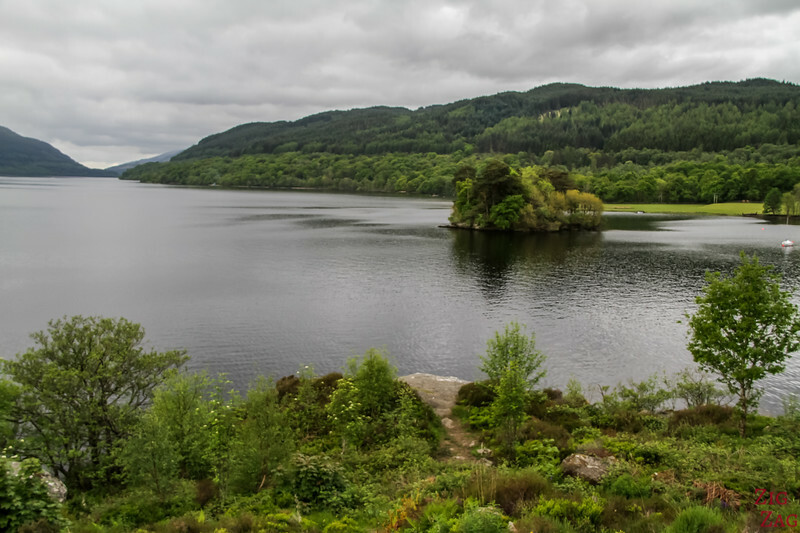 A small isolated hill can be climbed to get good views of the lochs and it south islands. 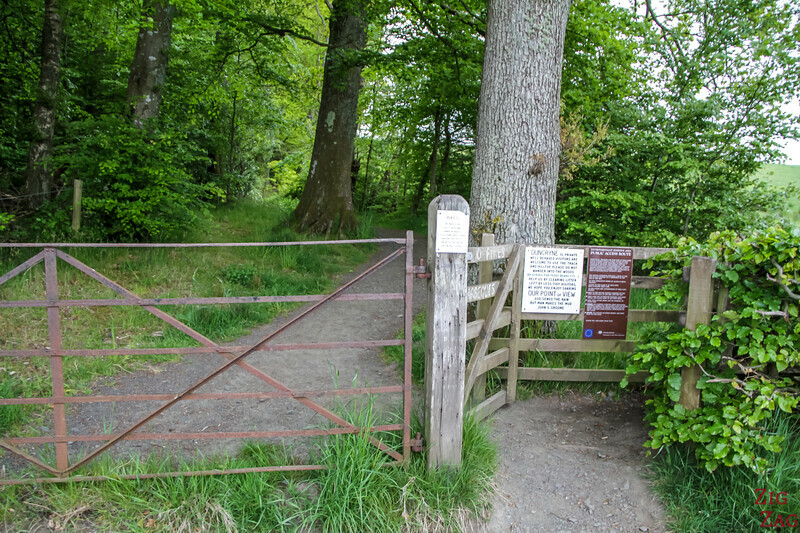 The hill is protected and there is only one entrance on Duncryne Road. It takes 30min to get up there and back. Wear good shoes, especially after rain. 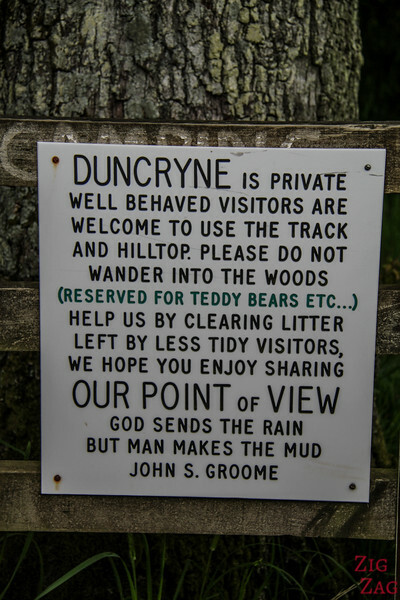 Sadly on the day I hiked up Duncryne, the sky had low clouds and the view was a bit blocked... 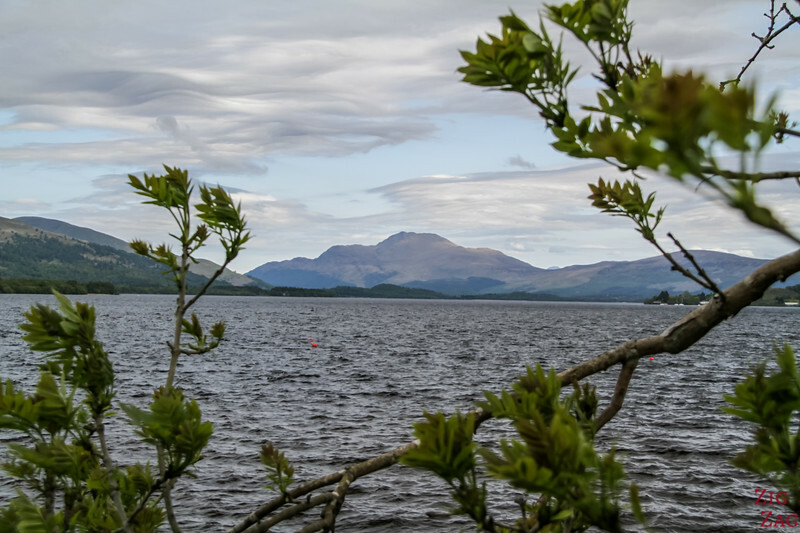 But it is probably one of the best Loch Lomond views. 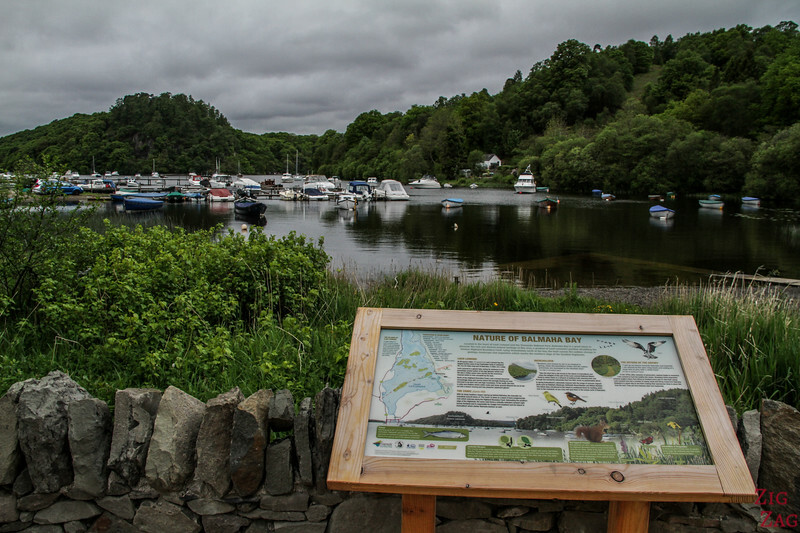 Balmaha is another touristic stop on Loch Lomond, because of the visitor center with information about the Loch and the National Park. It has been a settlement for thousands of years. 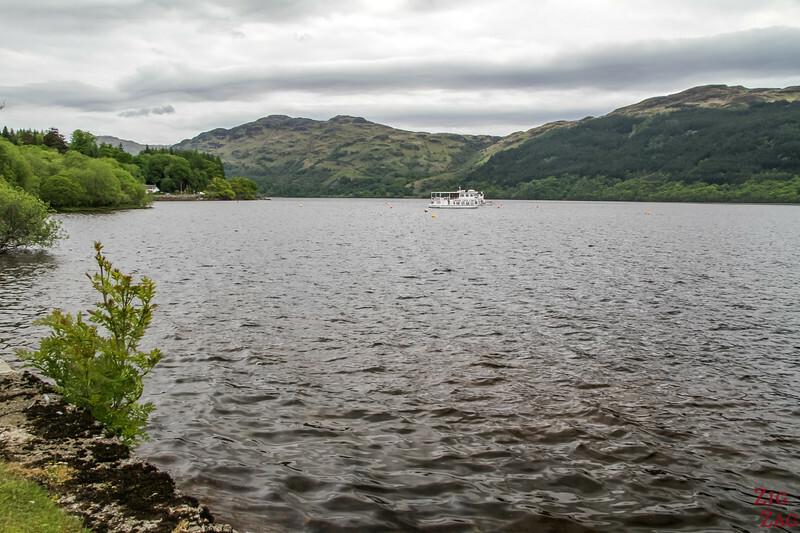 It gives a very different feel of Loch Lomond as it is enclose with the islands. 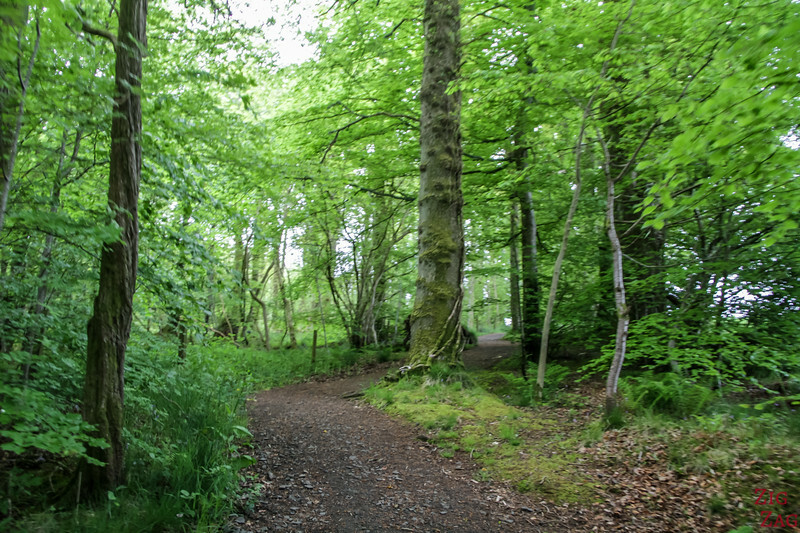 It is a great place for bird watching or to start a hike along the East shore of Loch Lomond. 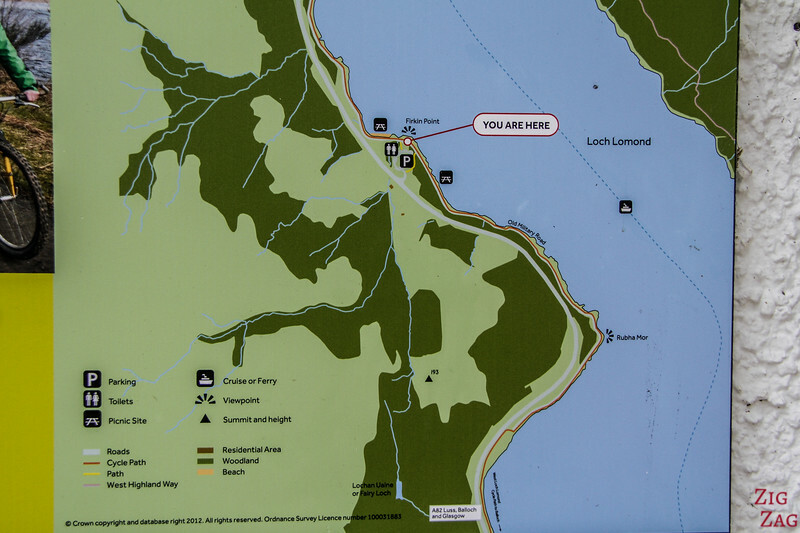 From there you can take a boat to the island of Inchcailloch for great views of the Loch. 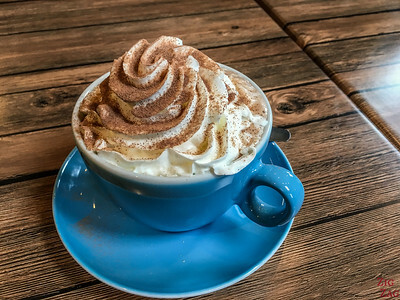 If you need to warm up, inn the village there is a small Coffee Shop with a great vibe, St Mocha. 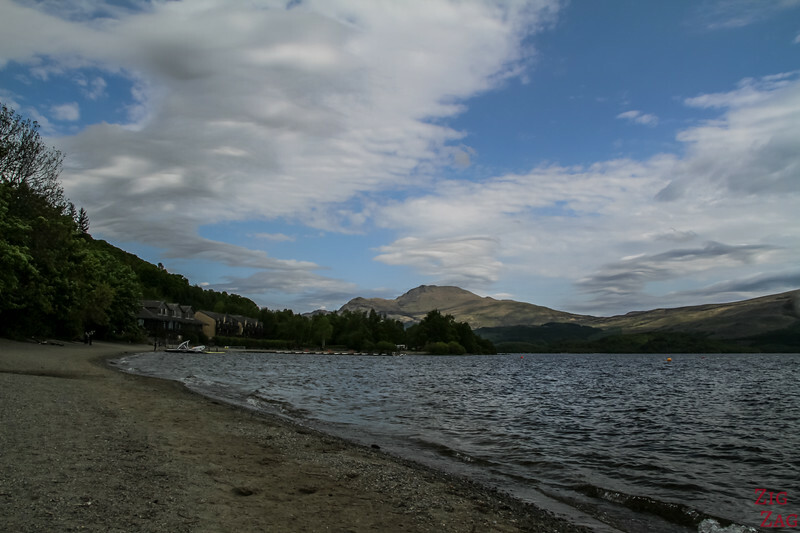 Inveruglas is the main stop on the North shore of Loch Lomond Scotland. 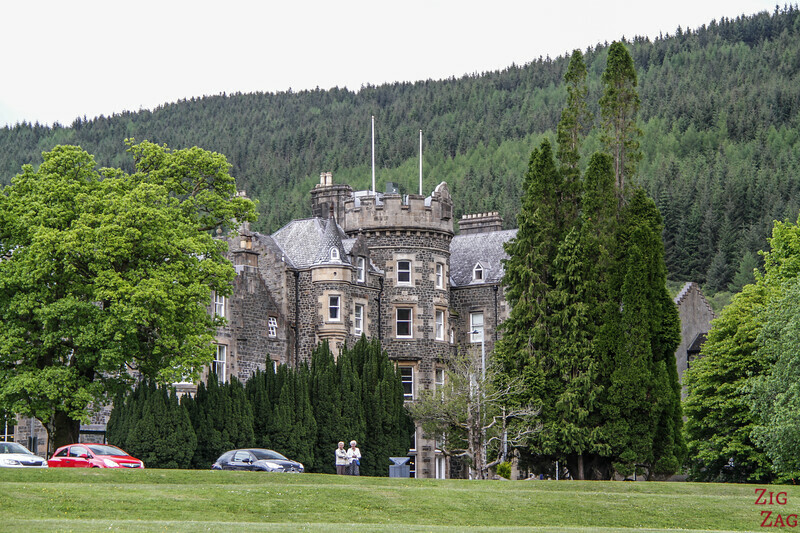 I asked a question re the Scotland guide e book, but have not has a reply? Is it transferable between my computers please? If I buy it can I put it on my home computer and my wife’s laptop so it can be taken to Scotland Please? I checked my inbox and my spam but did not receive your message. Sorry.